Tumwater is home to the now defunct Olympia Brewery. 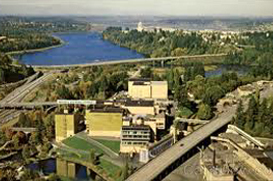 The city is located on I-5 just south of the state capital Olympia and 20 miles south of Joint Base Lewis-McChord. Enjoy breathtaking views at Tumwater Falls Park and be amazed at the natural beauty of the waterfalls crashing into Capitol Lake.